They used the number — US$ 1 billion – that news accounts reported had gone missing from three Moldovan banks in November of 2014. Unsure who to blame, the protestors denounced the government, politicians, banks and organized crime. The theft was a serious setback for Moldova, one of Europe’s poorest countries, with a gross domestic product of only US$ 8 billion and an average wage of US$ 200 per month. It set off chaos in the local banking system and led to the World Bank and the International Monetary Fund suspending financial aid to the country earlier this year. The European Union also froze funding for Moldova until a new government was formed. These moves prompted fears that the country might default on its international obligations. The protestors last spring, outraged as they were, didn’t know the half of what had been done to them. The November billion was just the latest outrageous crime in a massive, decade-long series by criminals who use this small, Eastern European country as their personal bank. They also didn’t know that police could have shut down the ring years ago when they confiscated key company stamps and documents central to the corruption ring. But higher-ups stepped in and prevented arrests. The police returned the stamps and documents — which were then used six years later to launder huge sums. Moldova’s problem goes way behind a single audacious theft. It involves a transnational nexus of government workers, organized criminals and businessmen, all of them untouchable despite their crimes. A police investigation continues but it seems nobody in the government or law enforcement has had the knowledge, skill, or desire to get at the root of the problem. The Organized Crime and Corruption Reporting Project (OCCRP) analyzed tens of thousands of records, and found that the same people who stole the bank money operated a seemingly unrelated, large-scale, money laundering operation that laundered more than US$ 20 billion, much of it from Russian and Russian state companies, over the past seven years. Moldova is a tiny country squeezed between the interests of Russia and the European Union. Despite or perhaps because of its rampant poverty, it has grown into one of the biggest money laundering hubs on the continent. Billions in black money flow annually through local banks. Moldova is a proxy – most of the money flowing through its banking system is not Moldovan. But the process has corrupted Moldovan society and wreaked havoc on the country’s politics, economy and judiciary. The Magnitsky Affair began in 2007 when US$ 230 million was stolen from the Russian budget. Eventually, the money was routed through a group of Moldovan banks; some of it was traced to high-end real estate in New York City. The Russian Laundromat, uncovered by OCCRP in October of 2014, was much bigger, passing US$ 20 billion in stolen Russian funds through some of the same Moldovan banks en route to Europe. The Moldovan government did try to trace the missing billion. In January 2015, it hired the private global due-diligence company, Kroll Inc. Kroll’s first report was leaked to the public by Andrian Candu, the Moldovan Parliament’s president, just days before the mass protests. It revealed little about who ended up with the money, further deepening the mystery. Following the Kroll report, the Moldovan authorities placed Israeli-born businessman Ilan Shor under house arrest. Shor’s name had been mentioned in the report in connection with the bad loans. Shor runs Banca de Economii bank (the bank involved in the Magnitsky case and one of the three banks robbed) and a football club in Moldova. Police are still investigating Shor and consider him a suspect in the theft, but they are unsure of his role. He says he’s innocent. In June, he was elected mayor of the small town of Orhei in Moldova. A major stumbling block for investigators was the fact that in November 2014, right after the theft, an armored transport vehicle carrying 12 sacks of bank documents related to the fraud was stolen and burned in what looked like a well-executed plan to erase any trail that might have led back to the organizers. The same thing happened in the Magnitsky case, when a truck carrying bank records related to that theft crashed and burned, impairing the ability of the Russian law enforcement to investigate. Chisinau building where police found mysterious box of rubber stamps. The fondness for using Moldovan banks for crime dates back a decade. The mid 2000s were wild years when the local police were overwhelmed by both the advanced money laundering techniques the fraudsters developed and by rampant corruption in their own ranks. (A raider attack is the hostile and illegal takeover of a company, sometimes achieved through violence and sometimes through forgery, fraud or corrupt court decisions). In some cases the raiders were only interested in extorting large sums from companies. A typical scheme might involve getting corrupt judges in Moldova or Ukraine to issue judgments in the raiders’ favor in cases where they claimed fictitious debts from state-owned commercial entities. Using the court-approved debt as a basis, they could legally take over the company. The report details a few such cases at length, but one in particular, Penal Case 2008030181, seeded the huge money-laundering tsunami that crashed over the country in the following years. 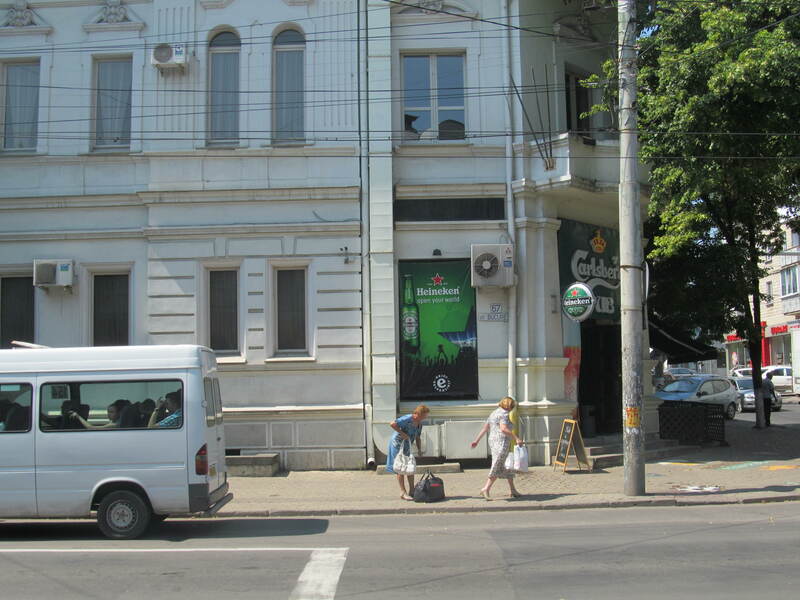 In July 2008, Moldovan law enforcement officers were working a relatively small $4 million fraud case when the investigation led them to 67 Bucharest Street in the center of the Moldovan capital of Chisinau. They raided three offices there and confiscated six desktop computers full of files. It was all pretty routine, until they located three paper boxes under one desk that contained “an imposing number” of official rubber stamps belonging to companies registered in exotic offshore locations. 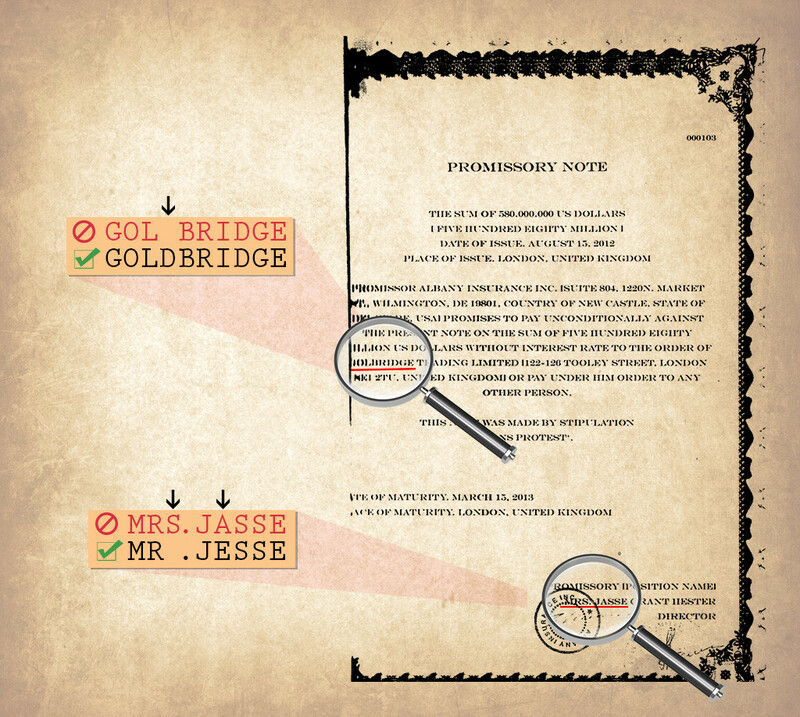 Two of the stamps were related to the fraud they were investigating, but the rest meant nothing to them: Mirabax Limited, Liberton Associates, Felina Investments, Albany Insurance, Caldon Holdings and many other companies, including some based in the US state of Delaware or the United Kingdom. Some belonged to Moldovan companies and one of these, Luminare LTD, was a company founded by Veaceslav Platon, a key player in Moldovan political and business circles. Platon, 42, is Moldova’s sixth richest businessman and a politician with dual Moldovan-Russian citizenship. He was a member of the Moldovan Parliament between 2009 and 2010. As police were staring at the boxes of stamps in downtown Chisinau, in neighboring Ukraine their counterparts were conducting their own investigation into a string of raider attacks including the same $4 million fraud. They, too, found rubber stamps stashed in an apartment in the outskirts of the Ukrainian capital of Kyiv, as well as blank stationery stamped with company letterheads such as the British-based Goldbridge Trading Limited, a company already involved by 2006 in laundering money and defrauding at least one Moldovan company. Platon’s name popped up in the Kyiv raid as well, but this time the name of the Moldovan-Russian politician was imprinted on powers-of-attorney documents issued by Moldindconbank. Then something really strange happened. On July 23, less than two weeks after the Moldovan law enforcement seized the stamps and the computers, an order came from high up to return everything. The report says the police did not even have the time to perform forensic tests on the evidence. Penal Case 2008030181 got shelved and was never worked on again. No investigation was ever concluded on the Ukrainian side, either. These same companies would be used over and over again in a series of massive money-laundering operations that siphoned billions of dollars out of Russia and, moving through Moldova, into the European Union. Neither the Moldovan investigators, nor their Ukrainian counterparts, knew they had been on the brink of stopping one of the biggest money-laundering operations uncovered in Europe. In the beginning of 2015, while the Moldovan government was asking Kroll to investigate the November theft, OCCRP reporters were knocking on doors thousands of kilometers away from Chisinau, in Edinburgh, Scotland. Two street addresses on Brunswick Street in the Scottish capital kept popping up in records of the British companies involved in the November billion theft, and also in many other much bigger instances of massive money-laundering and raider attacks in Eastern Europe. Brunswick Street does not look affluent. Cheap cars are parked outside terraced red brick housing and the two addresses don’t look like the headquarters for multi-billion-dollar businesses. The people who live there are “formation agents”, people who set up companies for others who wish to conceal their identities, and “proxies” or front men for the people who actually own the companies. At one of the Brunswick Street addresses, the door was answered by Ishbel Papantoniou, a plump lady in her early 60s who is the wife of the man behind the Brunswick companies, Marios Papantoniou. He is a former chief tax inspector in Cyprus who moved to Edinburgh in the early 1990s and set up an accounting and company-formation business there. On a second visit, however, Ms. Papantoniou became agitated when the reporter told her that OCCRP was investigating high-level money-laundering operations involving companies where she, her husband, her son and her 81-year-old mother showed up in paperwork. The offices next door belong to a company called Axiano that was also established by Marios Papantoniou. This company, too, was the registration agent for a number of companies involved in Eastern European fraud. In the office reception area, several women were having lunch. A closed-circuit TV camera was trained on the entrance. A young woman answered and, in an Eastern European accent, said that Marios Papantoniou wasn’t available, but his son Alexandros was. OCCRP made one more attempt to talk to Marios Papantoniou to seek his response to a document signed by Kerry Jane Farrington, an employee of the local Edinburgh Crematorium, who Papantoniou used as a proxy in companies he established for Eastern Europeans. Marios Papantoniou was unavailable, so OCCRP left the document with a Russian-speaking office worker. Marios Papantoniou promptly responded via email but refused to answer questions about the involvement of his companies in Eastern corruption and crime. On April 5, 2013, Moldovan Judge Victor Orindas issued a verdict: a group of Russian companies must send US$ 580 million to the Latvian bank account of Mirabax Investments Limited, a Brunswick company connected to Marios Papantoniou and one of the companies whose rubber stamp was confiscated and then returned by the police back in 2008. The scam, outlined in OCCRP’s series The Russian Laundromat, was simple. A Russian company wishing to move money into Europe would guarantee a contract signed between two fake companies. Then one of the fake companies would file a complaint against the other in a Moldovan court for non-payment and ask that the guarantor, the Russian company, make good on the unfulfilled contract. A bribed Moldovan judge would certify the debt as real and order payment. Then the Russian company would pay the fake company, which was actually working with them. Combined with the judge’s order, the money could be moved through Moldova into a Latvian bank account – freshly laundered and ready to use. The rubber stamps the police briefly seized seven years previously were used over and over again on documents that were introduced as evidence into Moldovan courts to falsely certify debts that finally amounted to US$ 20 billion. By 2012, the organized crime group that began operations in 2005 had upped their game significantly and had become brazen. The initial frauds totaling millions had turned into billions. When Judge Orindas issued the US$ 580 million verdict he was ruling on a clumsily forged document; other judges across Moldova did likewise, enabling the criminals to move huge volumes of money from Russia. All the Moldovan rulings were based on promissory notes presented as evidence to courts. In the case of the US$ 580 million, the promissory note was concluded between a Delaware company called Albany Insurance and a British company,Golbridge Trading Limited. Albany promised to pay Golbridge more than half a billion US dollars and the note is signed by a Mrs. Jasse Grant Hester and rubber-stamped with Albany’s stamp, another one of the stamps seized and returned back in 2008. But there is no Golbridge Trading in the UK and there is no Mrs. Jasse Grant Hester. There is, however, a Mr. Jesse Grant Hester who is the director of the Delaware-based Albany Insurance and there is a London-based Goldbridge Trading Limited, a company connected to Brunswick street and, again, one of the names that emerged in the police operations conducted six years earlier in Moldova and Ukraine. In the end, Goldbridge diverted the money to Mirabax, the company that ultimately cashed in in its Latvian bank account. It’s likely the criminals slightly altered the names each time to provide some deniability and reduce the traceability should the scheme ever get discovered. The Moldovan judge could have annulled the proceedings just by comparing the promissory note to the other documents in the court file where the original documents spelled the names correctly. 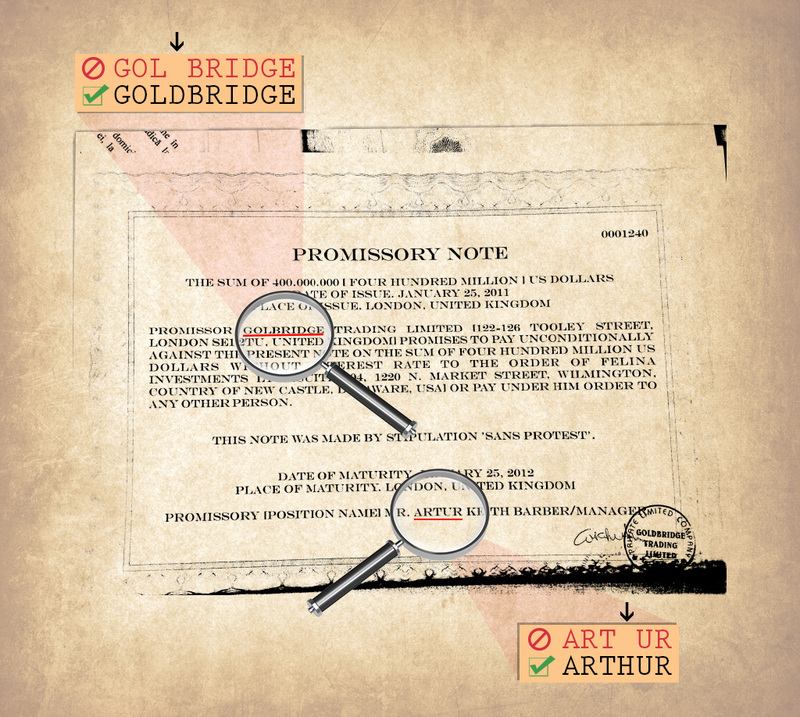 In at least one case the fraud was even easier to spot as the text on the promissory note said Golbridge while the name of the company on the rubber stamp that was applied in the lower right corner was spelled correctly as Goldbridge. Judge Orindas and other judges in Moldova chose instead to ignore the blatant forgeries. Some are now under investigation for their role. All the promissory notes used to siphon more than US$ 20 billion from Russia were forged in the same way. On the Russia-Moldova-Latvia route, the money was held for a short time by Moldindconbank, where Veaceslav Platon served as vice president. By the time the transfer transited the bank, Moldindconbank was owned by offshore companies including a Gibraltar firm connected to Jesse Grant Hester, a Brit working as a formation agent and living in Mauritius, and to another proxy, James Damian Calderbank, another British formation agent living in Dubai. Both names, Calderbank and Hester, kept on appearing in the Laundromat’s deals but neither would answer OCCRP’s questions. Platon did not answer repeated attempts to contact him. The three banks involved in the November theft were owned in the same way as Moldindconbank, by secretive offshore companies. None of the offshores owned more than five percent of any bank, keeping them below the threshold which would trigger greater Moldovan Central Bank scrutiny and ultimately approval. Recently, Moldova lowered that threshold to one percent in the hope of driving out corrupt practices. These ownership schemes were created after 2008 before the wholesale money laundering started. OCCRP looked at the records and found out that many of the offshore companies involved in the bank’s ownership are also connected to the companies that got the big, unsecured loans on which they would later default. The same formation agents and proxies have been used over and over. The offshore companies owning the banks also followed geopolitical lines: when war broke out between Ukraine and Russia, the Ukrainian proxies were quickly replaced with Russian citizens. Meanwhile, the citizens of Moldova are left wondering who stole the November billion. Sturza, the former prime minister, said those involved in the corruption includes a who’s who of Moldovan politics, sport and culture. But he said many were used as pawns. “…Platon and Shor coordinated from the outside and executed the schemes in the Republic of Moldova,” he said during an interview with the Interpol TV show in Chisinau. Sturza said when the amounts being laundered grew to be so huge, the Moldovans demanded a bigger cut, which ultimately led to a collapse of the system. Platon left Moldova on Feb. 14, 2014, and has not returned. He is under investigation for his role in the theft. Comunitate de jurnaliști, programatori și activiști. Rise Project utilizează fişiere de tip cookie pentru a personaliza și îmbunătăți experiența dumneavoastra pe site-ul nostru. Va rugam sa cititi modul in care riseproject.ro prelucreaza datele cu caracte personal. Prin continuarea navigării pe site-ul nostru confirmati acceptarea utilizării fişierelor de tip cookie conform politicii de prelucrare a datelor.